Free Leap Frog Book when you create your child's LeapFrog Learning Path. Free $2 MP3 Credit at Amazon! 2. 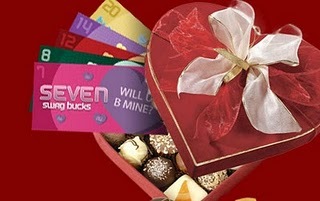 On the right hand side click, "Redeem a gift card or promotion code"
Has anyone gotten all of the Valentine Swag Bucks yet?